Remotely access CAE applications online through XenApp. How to install and connect to XenApp. XenApp allows you to access some of CAE's software remotely. You do not need WiscVPN running to use this program. 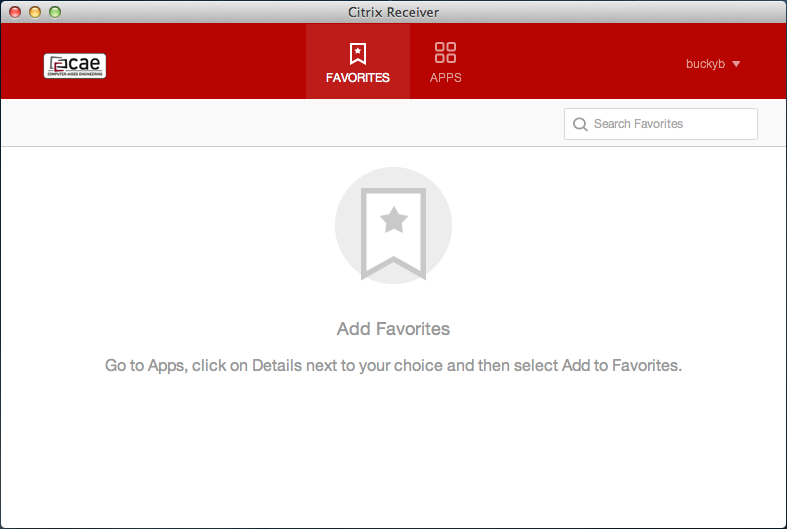 NOTE: XenApp can be run without installing the Citrix Receiver. To do this, navigate to https://remote.engr.wisc.edu/ and log in, making sure to use the Light Version. Then skip to step 6. If you are getting an error that reads "Incorrect Credentials. Try again", be sure that you are using your CAE credentials to log on. If you still get the error, and you have not changed your password recently, it may be due to an invalid character or string of characters in your password. If you changed your password in the last few minutes, give it a couple more minutes and try again as the system takes a few minutes to refresh. 1. 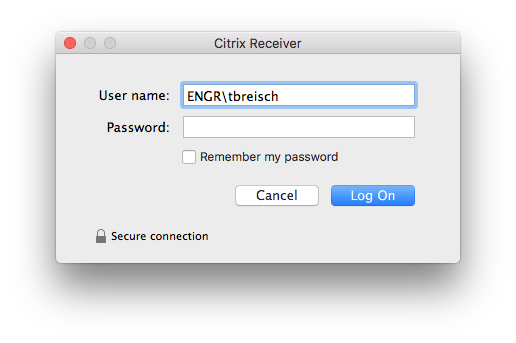 Navigate to https://www.citrix.com/downloads/citrix-receiver/mac/receiver-for-mac-latest.html with an internet browser, and click Download Receiver for Mac. 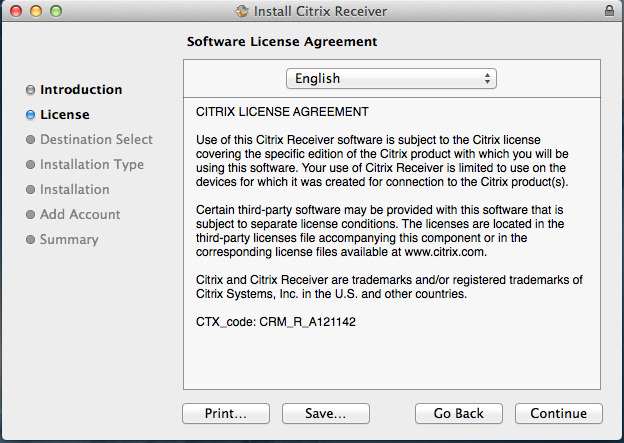 Note: You can also download the installer from https://remote.engr.wisc.edu/ but CAE has noted better success when downloading from the Citrix site above. 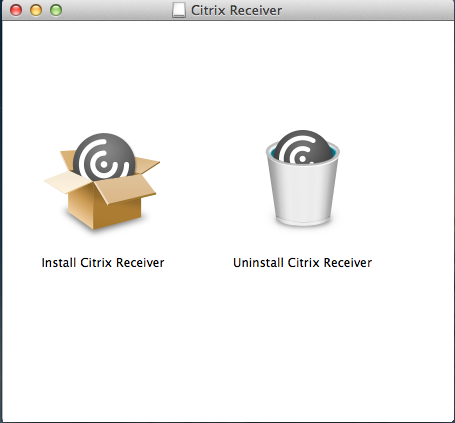 3.Now click Install Citrix Receiver. Click Continue. 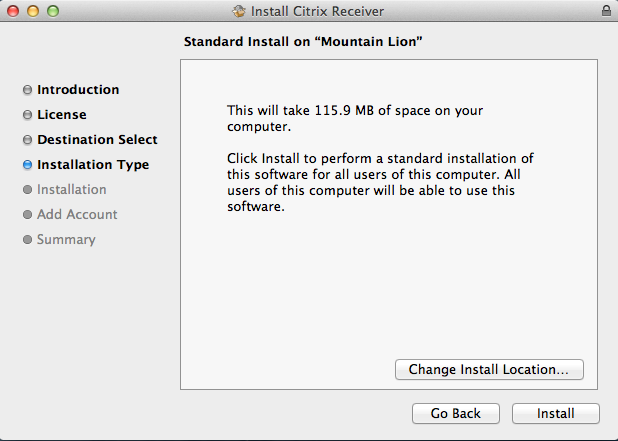 Click continue again, read over the license agreement, and agree to the license agreement. 4. If you wish, you can now change the destination where the receiver will install. Once you have decided on a destination, click install. At this point, you only have to click on an app to launch the program. If you are using Google Chrome to login and have a loading issue, please try another web browser, such as Safari. 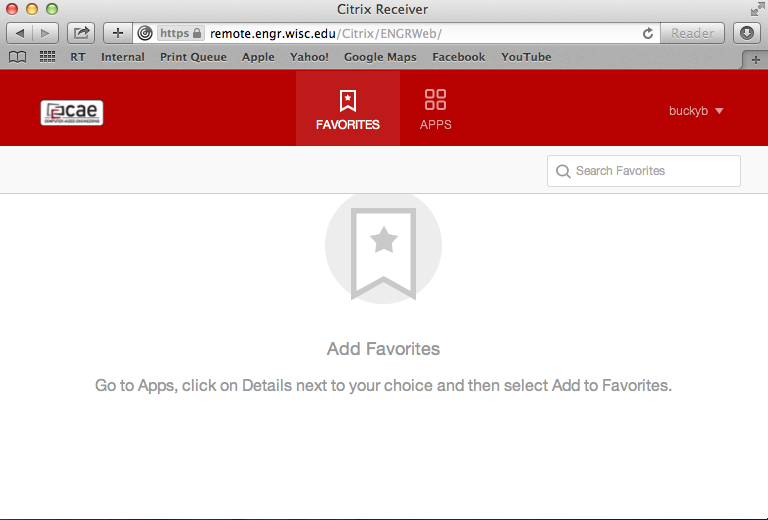 There have been issues in the past with Chrome and remote.engr.wisc.edu on the Apple platform. 1. 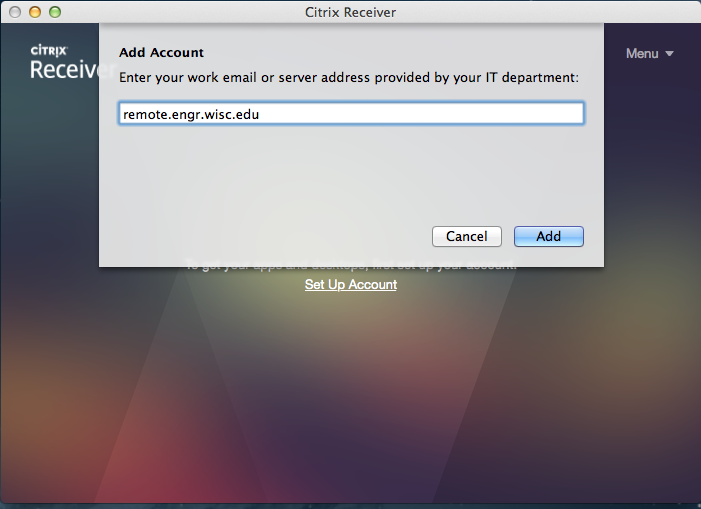 Upon opening the Citrix Receiver, you will be prompted to enter your work or email server address. Enter "remote.engr.wisc.edu"
2. You will then be prompted for your username and password. Be sure to enter your CAE username and password. 3. You will then be asked to log in to a domain. The domain will be ENGR and should be entered before your username, as shown below. 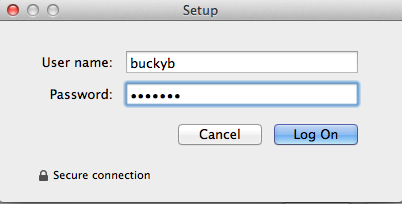 After the domain place a backslash (\) then your CAE username, followed by your CAE password. From here, you can either add apps to your favorites or just launch them from the Apps list.